***LOW RATE FINANCE- NATIONWIDE DELIVERY*** RIDE ON L PLATES The soft silence of the open road is only punctuated by the sound of cold wind whooshing by your face, the hum of the 4 stroke, liquid cooled engine and the crunch of gravel beneath the massive 140mm rear tire on the Renegade Commando 125cc. The Commandos low-slung seating, nostalgic lines and wide-set handlebars were inspired by vintage American military bikes, built to be ridden long distance and for hours at a time. 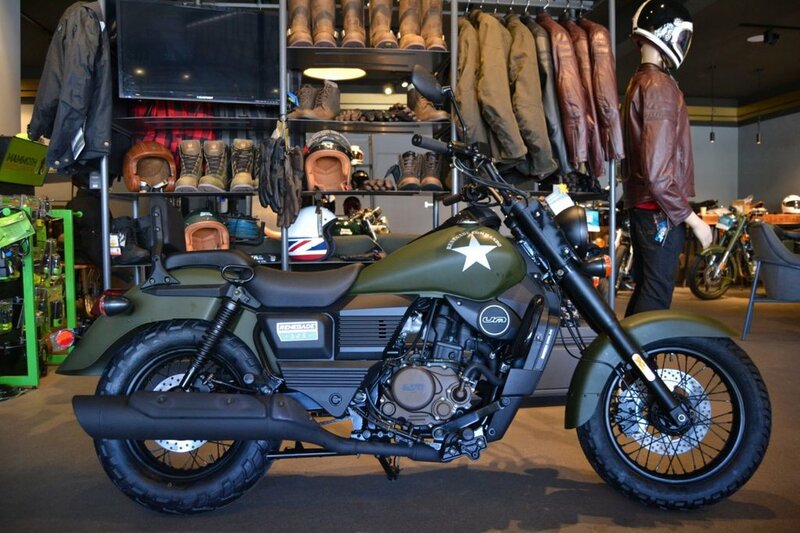 The Commando also features a bulky petrol tank with integrated instrument gauge for a clean handlebar look and wide metallic fenders for tough road conditions. So sit back and enjoy the ride, we are looking after you.